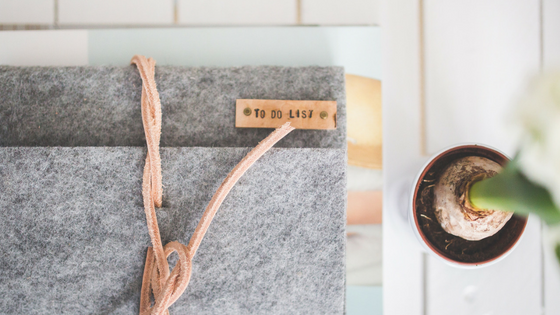 There’s no doubt about it, life gets busy and we tend to get into the same routine of putting off the things on our home to-do lists. In doing so, you might allow urgent maintenance repairs to become more serious issues. While you certainly may not intend on neglecting important maintenance tasks, by waiting to fix issues or make needed repairs, you’ve actually put both your personal safety and one of your biggest investments at risk for trouble in the future. In some cases, you may not think a certain maintenance task is urgent but taking a closer look will help in determining just how long you should wait to address the issue. Putting off one small repair could lead to an extensive one just a few weeks later. A small crack in the roof might seem like a repair you can put off for another week but just one bad rainstorm will have you wishing you didn’t wait. If you’re thinking about listing your home in the near future, it’s important to keep in mind that properties that are not well maintained can lose 10 percent (or more) of their appraised value. You may wonder how you’ll find the time to make sure your home is in its best condition, but when you take a look at the big picture, you only need to spend a few hours on home maintenance projects every season. We’ve put together the ultimate home maintenance reference guide for homeowners. By breaking up major projects by season, your checklist won’t seem as overwhelming. Feel free to share this with friends and family who can benefit! Spring is especially beautiful in Florida – the flowers have started blooming and while there may still be some chilly days lingering, most Floridians start to focus on getting their home ready for outdoor entertainment. When was the last time you cleaned those hard to reach areas behind your fridge and appliances? Now would be the perfect time to freshen up those areas to ensure that major buildup doesn’t occur. Clean ceiling fans and other areas that have been neglected over the last few months. Don’t forget to declutter – unused clothing and household items can take up lots of space (and create dust) if you let it pile up! This is a case-by-case inspection. For some, it may be smart to shut off your heating system but we recommend checking the manufacturer’s instructions for best procedures. If your home has central air conditioning, it’s best to schedule an annual tune-up with your HVAC technician. For those with a portable or window unit, be sure to follow the manufacturer’s instructions for maintenance best practices. If in doubt, call a professional! Wash windows and clean and replace screens if they were removed during the winter months. For the home’s facade, it’s generally advisable to use the gentlest, effective method. A simple garden hose will work in most cases. Gently rake your lawn to remove leaves and debris. Too many leaves can cause an excessive layer of thatch, which can damage the roots of your lawn. They can also harbor disease-causing organisms and insects. However, take care because overly vigorous raking can damage new grass shoots. A layer of fresh mulch helps to suppress weeds, retain moisture and moderate soil temperature. However, be sure to strip away old mulch at least every three years to prevent excessive buildup. If you own a pool, be sure to follow best practices for your particular pool to ensure proper maintenance and safety. School is out and the kids are home all summer long! You’ll want to get ahead of your summer maintenance repairs so you can take the rest of the season to sit back, relax and enjoy the Florida weather! Make sure they are set to run counter-clockwise in the summer to push air down and create a cooling breeze. Using fans instead of your air conditioner, when possible, will help minimize your utility bills. Be sure to clean or replace your filters monthly; this is particularly crucial if you’re running your air conditioner often. Fall is the perfect time to get ahead on repairs before the cold weather arrives. Get ahead on inspections to eliminate last-minute repairs. If you have a chimney, fire safety experts recommend that you have your chimney inspected annually and cleaned periodically. Complete this task before you start using your fireplace or furnace. If you choose not to use a mulching mower, a fall fertilizer is usually recommended. For best results, aerate your lawn before applying the fertilizer. While it can be tempting to ignore home maintenance issues in the winter, freezing temperatures can do major damage if left untreated. Follow these steps to ensure your home makes it through repair-free. Before the first freeze, drain and shut off outdoor faucets. Place an insulated cover overexposed faucets, and store hoses for the winter. Removing screens from your windows allows more light in to brighten and warm your home during the dark, cold winter months. While this checklist should not be considered a complete list of your home’s maintenance needs, it’s a great reference guide to keep handy year round. Repairs will vary over time but keeping a close eye on the overall maintenance of your home can help keep repair costs down. Keep in mind that the investment you make in maintaining your home now will pay off dividends as the value of your home rises. It’s good practice to keep a record of all your maintenance, repairs and upgrades for future reference, along with receipts. These will prove beneficial when the time comes to sell your home and may just be what you need to help negotiate a higher selling price. Need help with home maintenance or repairs in the Orlando area? We have an extensive network of trusted contractors and we’d be happy to provide referrals! Call us at 407-925-8404 or email us at barrett@barrettspray.com, and we will connect you with one of our preferred vendors.